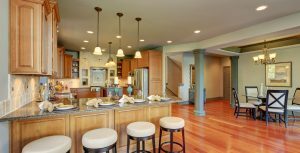 North Shore Home Works offers a variety of home improvement services for our clients. Whether it’s a bathroom remodel, bedroom remodel, or kitchen remodel, we can help you find the design you’ve been looking for in the Highland Park Illinois area. We can improve the look of any room in your house to your satisfaction. From minor repairs to a complete home remodeling, our team will take care of any job you need done.